/ Series / Quick Transmigration: Becoming the Best! Quick Transmigration: Becoming the Best! Every 1000 years, systems are released into the world to find the perfect hosts to compete for the top spot on the Void World's Leaderboard. The prize for first place is to have one wish of any kind granted no matter what it may be! **cover image does not belong to me! taken from Pinterest!! Both leads have very distinct personalities, in fact we have a very domineering woman with an also equally domineering man. The ML chases the FL and wants to dedicate the rest of jis life to her, the FL has her doubts but at the moment of my reading seems to try and start accepting him. There is also comic relief system and we have a baby between the leads to boot. It's a fun read and also written in a pretty good way. 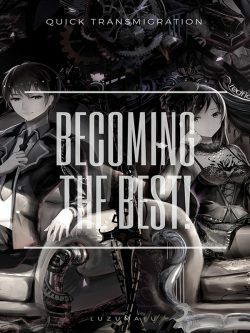 Recommended for people who are looking for similar stories within the genre.